I have a new favorite face primer and it's awesome! I picked it up the new Touch in Sol No Pore Blem (see what they did there?) primer at Sephora ($18) after hearing rave reviews on YouTube and I'm so glad I did. 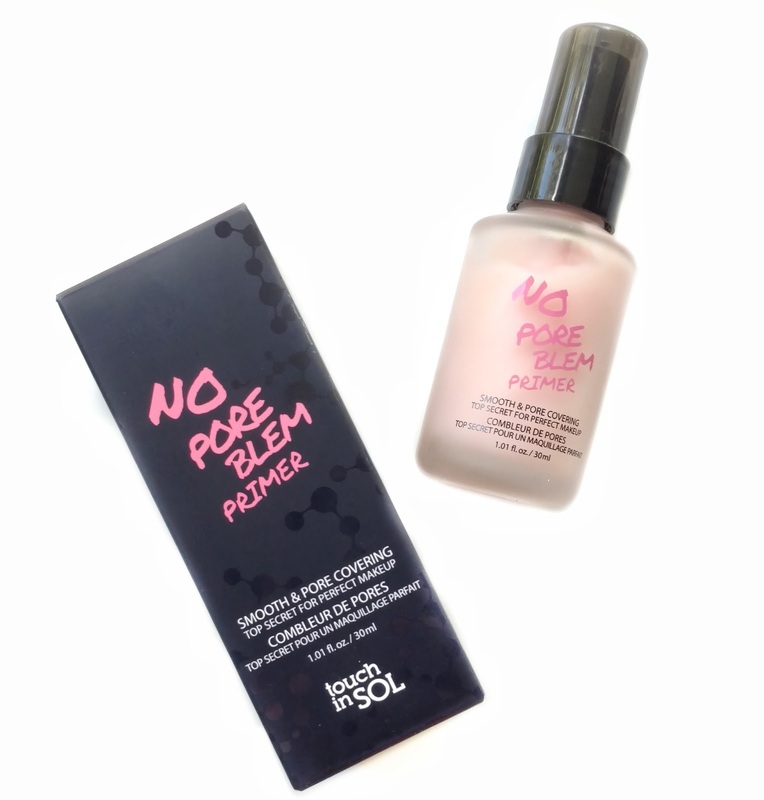 It's a pore-filling primer like the Benefit POREfessional but it has a creamier, more hydrating formula. I love the POREfessional and have used it forever because it does such a great job at hiding my pores but the downside to it (for me) is that it's a very dry formula that's really meant for more normal to oily skin types. As a dry-skinned girl, the POREfessional can sometimes make my skin feel a little too matte and accentuate flakes, particularly in the wintertime. This one doesn't do that at all...and it hides pores just as well, if not better. It has a very creamy feel and I honestly wasn't expecting it to smooth out my skin so well because primers that feel like this usually end up making my skin feel soft...but that's about it. It reminds me of a lighter-weight version of the L'oreal Studio Secrets primer which is another favorite of mine. But that one has a very thick, paste-like consistency and I don't like wearing it in the summer because it's too heavy. 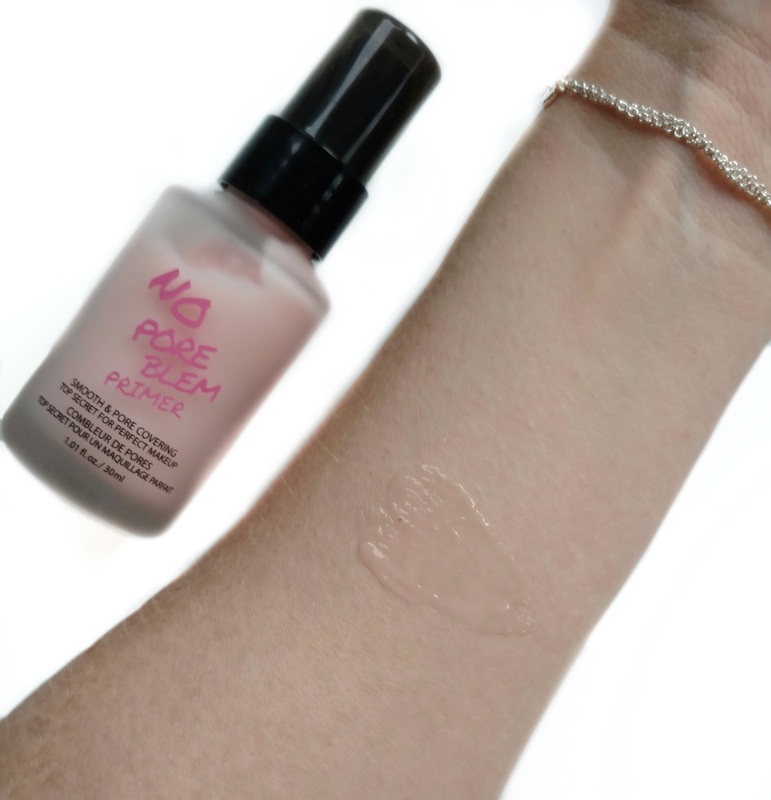 No Pore Blem is lightweight and it doesn't feel like it's smothering my skin in the humid weather. I'm not sure if this makes my makeup last any longer, but it gives my dry, rough skin a super smooth appearance, so I find myself using less foundation overall. 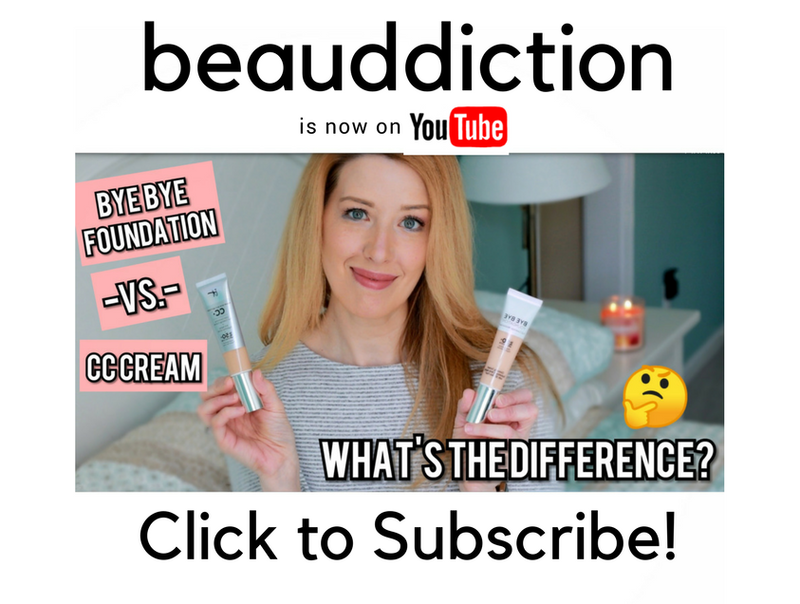 If you're looking for a primer with some serious smoothing power, give this one a try...it's fantastic! I got this after you posted about it on IG a few weeks ago. It's everything you said and more, the best primer I have ever used! For real, you always find the best stuff.